Those who are new to building a blog cannot be expected to know all the amazing features of the most popular Content Management System (CMS) out there, WordPress. However, even those who have been around the block a few times may not know some of the most intriguing aspects of this open-source platform that has been taking the web by storm for the past 13 years. In fact, the more you learn about WordPress, the more intriguing it gets. Even if you are going to build a blog with a beginner’s guide, here are some things you may want to know. This may seem like an exaggeration, but the truth is, WordPress as we know it today is said to have grown from an idea in the head of one man who joined forces with less than a handful of others and is now being carried forward by tens of thousands of people on a global level. The WordPress platform began as the brainchild of a single man, Matt Mullenweg, who joined forces with Mike Little. The pair were then joined by the originator of b2 codebase in 2003, Michel Valdrighi. From there other big names in code technology joined the collaboration and the rest, as they say, is history. Now WordPress is famed for being an open source platform where there are literally tens of thousands of techies adding to the code, building plugins, widgets and a wide array of features and extras that make WordPress what it has become today. No matter what theme you start out with, if it doesn’t have the features and applications that you need, there is a plugin, update, widget or snippet of code that can be found to make that them do exactly what you want it to do. If the theme’s designers didn’t program a certain functionality into the theme, no worries! There is a techie out there somewhere who has, or will be able to, make it happen. One great example of this is the new (thank you Google) focus on responsive themes. These are able to conform to any size screen so that the user experience doesn’t suffer due to the device they are using to view the site. If you are using a theme created before the drive towards mobile-friendly sites, no worries. There are plugins galore to fix that issue. Without listing all the features that make WordPress the ultimate SEO Content Management System, suffice it to say that the platform itself is ideally suited to search engine optimization and there are features in themes and plugins that take SEO to a whole new level. 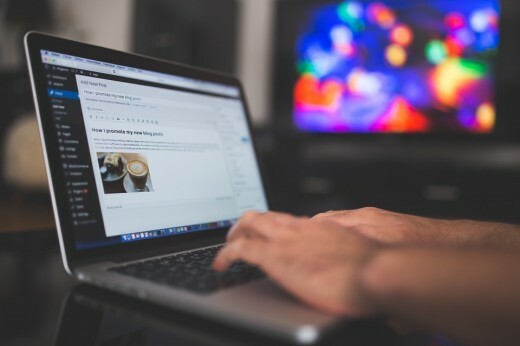 Even those new to blogging can gain rank quickly and easily with Google simply by following tips included with most themes and readily available from the millions of WordPress users on the forum. If you are looking at how to build a blog with a beginner’s guide, chances are you will find loads of information on WordPress. As the easiest to use and most inclusive CMS available, most guides refer to WordPress as the best way to quickly build a blog with no previous knowledge or experience whatsoever. If there is something you never knew about WordPress there is no reason you can’t get an answer within moments. With millions upon millions of users around the globe, someone out there has had the same question and the answer is waiting for you. All you need to do is ask.